To my own surprise, this is my first review of a Laphraig scotch. 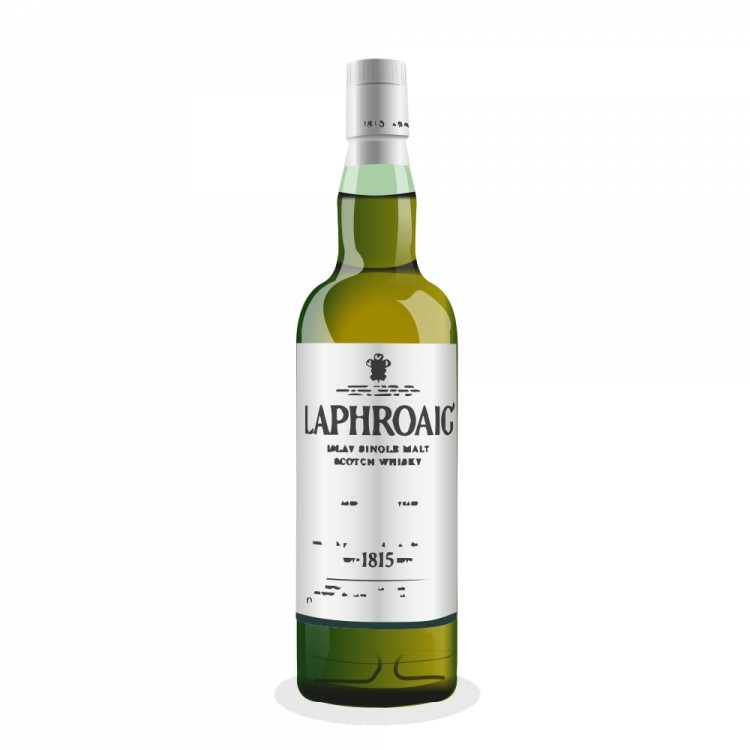 I have not a lot of experience with Laphroaig except for the common expressions like the 10 yo, the 10 yo CS and the QC that we have regularly in my neck of the wood and that I had a few bottles of. I have to express my preferences when it comes to Laphroaig: I like them dirty, a bit rough as if it was coming out of the wood. I heard that the Cairdeas 2015 is not in this line, I will try not to expect that and to judge it on its own merit. Nose: I have fresh hay, vanilla, salt, brine, light rubber, peat, ash, a whiff of cinnamon, lemongrass and lemon. This is not the in your face style that I love from the QC, on the contrary, most of those notes are of medium level and it is very well balance. There's a freshness to it and an herbal note that is very appealing. Palate: The vanilla hits first but it is followed immediately by the peat that is way bigger than on the nose. It also had the meaty side to it that you expect from Laphroaig but not as big as usual. On the other hand, the peat is a lot more ashy and mineral. If you nose it before having a sip, it becomes leathery. With time, there is a bit of chocolate and a faint lemon with no sour note at all. Unfortunately, the herbal flavor is absent. Simple but efficient. Finish: The peat stays with you for ever with big ashes, smoked ham and ends on a beautiful leather. Of course there is also iodine, but I forget to mention it because it is very well integrated. Balance: Great on the nose, very good on the palate and the finish. Conclusion: This is a very good Laphroaig. I was not that found of this one on a fresh opened bottle, it was too light and didn't have enough of the distillery caracteristic. With air and time, it still has a light herbal note on the nose that is a plus, but the peat came out of the closet like a decathlon athlete, ready for a long journey. Now it is a real Laphroaig, reborn from ashes or with ashes. The more I drink it the more I love it. @Robert99. My experience was the same on first opening. I was not too impressed. By the time it was down a third and had been open for a couple of months I loved it and now I would score it exactly the same as you. @BlueNote. It's great when a bottle get better with time, evenmore when you are not expecting it. Lets drink to that! Cheers! @Robert99, thanks for your very nice review. That's good to hear more praise for Cairdeas 2015. Makes me comfortable having two bottles of it on hand. I find that most Laphroaigs do well with air exposure, even very long air exposure. Sure, they lose smoke, but they seem to get sweeter, and they stay mellow. @Victor For me the first glass was all about lemon and even white wine. The peat was not opened. Now the ashes are taking alot of place but you know how I like ashy peat. It may be too much for other as it would be really ashy even for an Ardbeg. But let me reassure you, it is not even close to the Laimrig from 2012. Let me remind you that this last one was undrinkable for close to a month.